The Hape Scoot Around is the perfect first push bike toddler scooter. 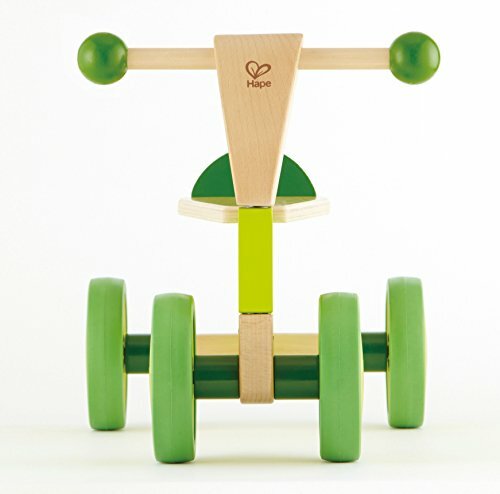 Toddlers 1 to 3 years old can enjoy this four-wheel foot-powered, wooden rider while reaping the benefits of increased muscle strength and improved balance. The rubber wheels will ensure that the scoot around does not damage floors and is super durable while your young ones are on their speedy escapades over any surface. The Hape Scoot Around will help your child test their mobility and strengthen their muscles while developing active motor skills. The scoot around will also instill confidence in your young ones as they experience the freedom of zipping around. The push scooter is an easy transport toy for trips to the park and perfect for riding around the home. It can even be used as a push or pull toy for your young ones, allowing you to spend quality time bonding with them. 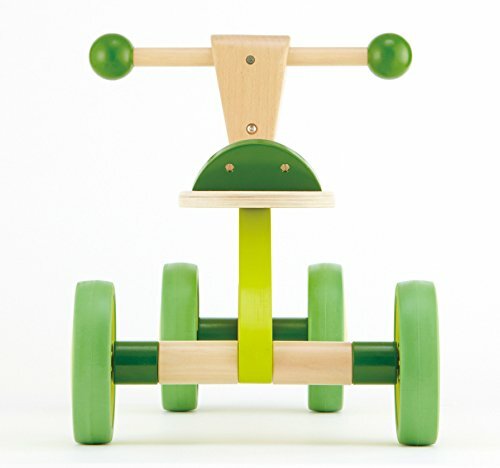 The Hape Scoot Around Ride On Wooden Bike was the winner of the 2013 Oppenheim Toy Portfolio Gold Seal Award and the 2013 Parent's Choice Recommended Award. Made with wood sourced from environmentally sustainable forests. 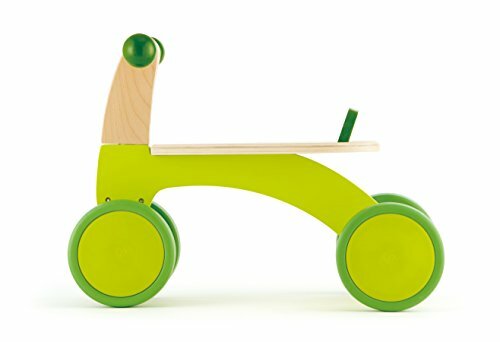 Durable child safe bright green paint finish and solid wood construction make this a toy your child will love for years to come. Hape toys stimulate children through every stage of development and help nurture and develop their natural abilities. All Hape products sold in North America meet or exceed all applicable safety standards. Our toys are created to inspire play, learning, and exploration of the world we live in; through responsible business practices, we aspire to leave the world in a better condition than when we received it.